We’ve got another good preview for you today, as we take an exlusive look at one of the back-up stories that will included in Liberator, Vol. 1 from Black Mask Studios. 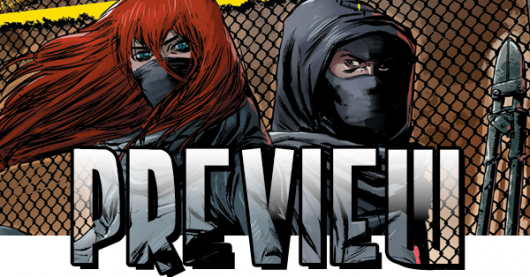 Check out the 5-page preview here below. This story, entitled “We Are What We Are,” is written by Matthew Rosenberg and Patrick Kindlon, with art by Ariela Kristantina, and colors by Jen Hickman.